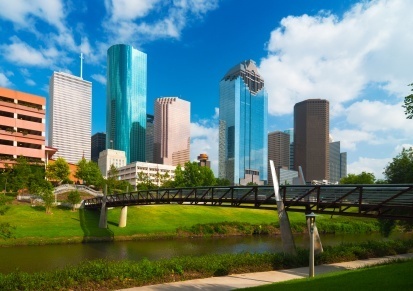 Have you considered moving overseas from Houston, Texas, returning from a stay abroad or are possibly relocating for work or military service? Whichever your scenario, Schumacher Cargo is an experienced international mover in Houston that prides itself in taking the stress out of an international move. Whether it's an entire household, single office or just a few items of furniture, we customize every shipment to each clients' specific needs based on volume, budget and location. There are hundreds of international movers in Houston to choose from, but our team of professionals are second to none. Additionally, we have an office right off the 10 freeway near the 610 just 15 minutes outside of downtown Houston, making it easy to reach us. From this location, we move household goods to all the European base ports but as we are a full service international moving company, we also have rates to many more destinations. There's almost nothing that we can't help you move. We've orchestrated a huge variety of household moves over the years and our team of international movers are with you from start to finish. 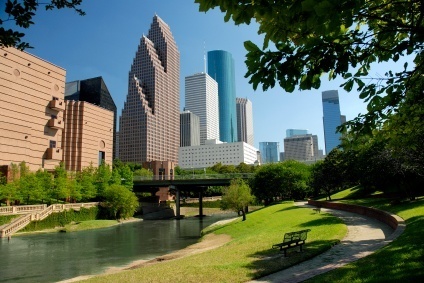 With our Houston moving services, clients can select which service they would like to use. We offer port to port, door to port and even door to door. If you are relocating to or from the Houston metro area, pickup, delivery and everything in between will be quick. You'll also have the option to deliver your household goods yourself. We'll send out our own crew to pack, wrap and deliver the goods to our office and then move the shipment to the port when it's ready. What if I live Outside of Houston? For those relocating from other parts of Texas, for instance Austin, San Antonio, El Paso, etc., the process of pickup/delivery will naturally take longer. However, we'll always try to find the best rate. Sometimes, that requires transport to one of our other offices across the country. A few of the major international destinations we move cargo to include all of Europe, Australia, the Middle East and South Africa. However, as mentioned we also have services to other destinations. If you would like to get a moving quote from one of our experts or just have some questions, give us a call at 800-599-0190 or use our quick quote form. Itâ€™s that simple and we look forward to helping with your overseas move! Finding out what it cost to move has never been easier. Take a minute and get a free estimate. Which way are you shipping? Schumacher Cargo Logistics utilizes insured, secured and bonded facilities. We provide warehousing, packing, crating, trucking and loading services out of our own warehouses here in the USA. * Los Angeles * Houston * Savannah * Miami * New York * New Jersey. Hawaii and all other worldwide destinations are covered by our affiliated organization member companies.